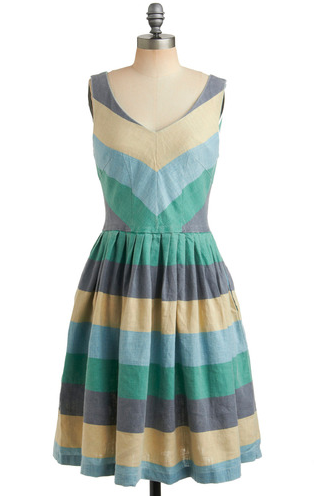 I think the striped dress is gorgeous, but they are all very pretty. The chevron striped one and the brown one with black bow. Can I have them both? But I'm feeling the first one! Your hair color would look gorgeous with the purple though..
you have excellent taste in dresses :) I like the first best, but I wouldn't say no to that delicious bow on the second and the candy stripes on the third! I adore the brown one! Looks so vintage and well...AWESOME! They're so pretty! I love the first 2! If you're going to go for any of these dresses go for the first or third, i'm begging you!! oh, and congrats on becoming a red velvet girl dear! i'm kind of in love with the third one! my favorite are the first and the last. i absolutely love the colors in both! I am in love with dress #2! Oh I love all of them you would look great every single one! I love that first one!! That color combo is just so lovely!!! 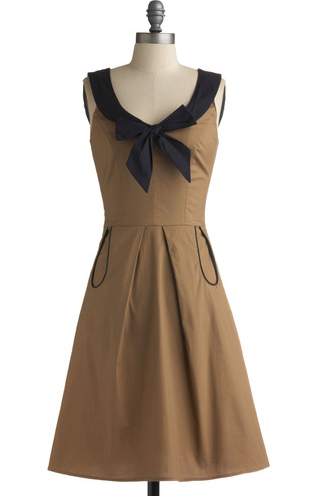 Modcloth always has the most stunning frocks!! I love the first dress. I'm very much a fan of pastels. I love the stripey, third, one. I think the brown, second, one is so very you. uber-CONGRATS on joining the Red Velvet girls. what a world that must be. Just started following your blog! Lovely :) I would definitely pick the first one! oh the top one is my favorite!! i love the contrast of fabrics and the color palette. Oooh that striped one (3) and the last one would look great on you! Your hair would be pretty with all of them... =) I guess that's not much help. i love the brown one. L o v eeee that third one. So pretty! I love the first one... a lot! All four are delightful but I love the 2nd and 3rd! I can't decide between the two! in fact, i may need it. i looove mod cloth. #1 and #3 are my favorites. 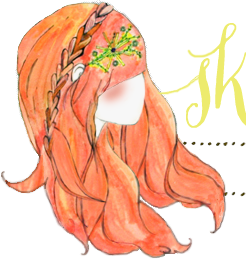 The colors would look amazing with your hair! These are all so AMAZING! #1 and #3 are my favorites, but it's so hard to choose! The brown one with the bow is fabulous!!! The top 3.. so so pretty and they would look adorable on you! 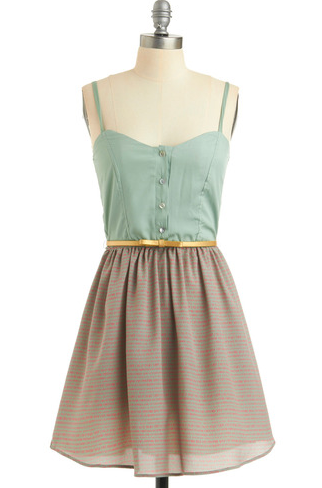 The striped teal dress is definitely my favorite. It would look so pretty with your red hair! the second and fourth would both be gorgeous for fall too, whereas the first and third are a little more summery/springy. don't you think? i think that you would look amazing in the last one! The third one definitely! I love it so much! All cute, but my favorite is the last one. The color is gorgeous and it would look great layered with a sweater or jacket. The one with the bow for sure! The second and first ones are gorgeous! But they're all lovely! Love them all, but especially the 3rd one! oooh! all cute, but the first one is definitely the best! Oooh! I love the first two but the color on the third would look great with your hair! Holly and I have both tweeted about dress #2 and how much we love it! 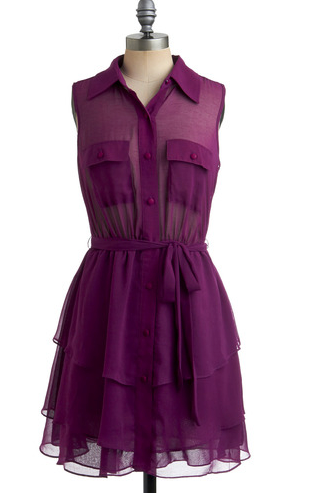 Such a great summer/fall frock. P.S. Did Hope already have her birthday or is it this coming weekend? The purple dress is great! Number one is my fav! Ah love them all, but the first one is my pick! That structured top is always comfortable and flattering! I would say that you would look lovely in all of them but my favs for you would be #1 and #2. The brown one will look fabulous with your haircolour and your skintone, as far as I could tell from your pictures. gorgeous eye!! definitely loving 2 and 3. btw, you look absolutely stunning in your photos here and over on red velvet! i LOVEEE the purple one! I love the 1st one and the striped one the best!! I adore the color combo of the first frock!